Are you aware that Google considers almost 200 ranking factors while placing websites on its search result pages? It indicates that you need to have an effective auditing process to enhance specific site areas that relates to the ranking factors. To help you in the purpose, we have brought you this SEO audit checklist. It will tell you about certain tools and checks to follow, in case you goit your website penalised and want it to work again. Even if it hasn’t got penalised, the checklist will let you know about your weakest areas that needs improvement. Read on to know how you can grow as a reputed SEO company in the UK. Check the age of your domain by typing in the name in WHOIS or godaddy.com. Simple! For easy records, create a spreadsheet with all the essential domains and their age for the marketing campaign. Use your domain name as a relevant sign and for this make sure you have the keyword on its top level. It might help you get beter rankings. Try keeping the keyword as the first word of your domain. If it is not, there won’t be any negative impact on your ranking. Some of the experts say that your domain registration length relates to the ranking factors. AS such, what is the harm to check your domain length on godaddy’s WHOIS or WHISBE? Ensure that your subdomain name contains a target keyword, as it is still believed that it impacts SEO ranking factors. While purchasing a new domain, check its link profile, past activities and owners to save from any negative impacts on your SEO efforts. You can do this using Whibse.com, HosterStats.com, ahrefs, Majestic, and SEMrush. If your’s is a good quality website, having exact match domain will prove to be beneficial for you. Check whether other site factors are in link with the matching nature of your domain. On having a private WHOIS registration, you can easily identify spammy links in a poor link profile. When you do not see any visible benefits on purchasing a new domain despite the use of non-spammy practices, chances are high that your site have been penalised in the past. You can use Penguin SEO tool and Google Analytics to check for any remaining penalty. You can use Screaming Frog settings and advanced settings for this audit. During your SEO audits, you will find thin contnet to save from penalties. However, there are some more factors associated with your content that impact rankings. Once the screaming frog is done with crawling over the pages, open the internal tab, click the arrow beside “filter” and choose “HTML”. On scrolling right, you will find a word count column which will help you detect thin content. For in-depth information, use Google Chrome’s word count extension column. Your site’s page load speed is today an important factor, when it comes to rankings. Ensure that your page speed is less than 2-3 seconds. Use a couple of tools for a more accurate result. This way you can even detect multiple issues at once. Identifying duplicate content should be taken seriously to improve your rankings and keep it stable. When you identify any such content, fixing them should be your next responsible step. Use siteliner.com by copyscape to identify duplicacy in the content. It shows you the pages having matching content and their match percentage. By copyscape, you can identify the exact duplicate resources of the content with its individual premium service offering private index function. Also check the URLs resulting in duplicate content links. Check the time, magnitude and historical trend of content updates. Make sure you check for keyword prominence in the heading tags of the content. Go through the keyword word order, reading level and grammar and spelling before posting a content. Use Screaming Frog to detect URLs having more than 115 characters. By this, you can identify issues of long URLs. To identify the value and uniqueness a content brings to you, competitive analysis is the best way to opt. Simply put your keyword in Google and see the top ten competitors on the organic results. Create an excel sheet with the website details of the competitors and export their CSVs. Find the content-heavy pages to know the value and quality insights. Another important SEO audit feature is checking whether your contact us page consists of all the essential contact informaion. Match your contact info with that of the competitors’s and see where you lag behind. A well-organised site helps Google crawl and arrange your content. Some of the experts at the reputed SEO agency. On Screaming Frog, click the site structure tab at the right window. This is where you can solve almost 20 on-site URLs issue. Determining site uptime during an SEO audit can identify various server problems. Being a site owner, Uptime Robot is an effective tool to use as it sends you notification email each time it detects your site is down. Knowing the server location is an important factor that identifies geolocation and location relevance. For the purpose, you can use iplocation.net or site24x7.com. Using Screaming Frog crawler, you can get the details of the terms of service and privacy pages . Alternatively, you can also check it on-site and ensure their presence. Click the meta description tag on the Screaming Frog page to check any duplicacy in the description tag. Another way of identifying duplicate tags is page titles tab. Yet another important auditing factor of SEO is to check whether your site is mobile optimised. Google’s Mobile Friendly Testing tools helps experts determine if they have a responsive website. Improve your site usability by checking the way it is used by the users using UserTesting.com service. It helps you know what are your weak points and the areas that need your attention. Sitemaps enable Google identify your website structure in a better way. Generally, Sitemaps are of two types: XML and HTML. The former has a single line of the site per line and the latter are a little more organised for booting. You can simple check for it in the browser by adding sitemap.html or sitemap.xml. To ensure good health of your site, it is important to check the areas of the crawling robots.txt. It is the factor that enables every agent to crawl your website. To check this, use Google Search Console. Ensure that your website has a secured SSL certificate having https:// in its URL. A red X after this indicates there were some errors when the certificate was purchased. 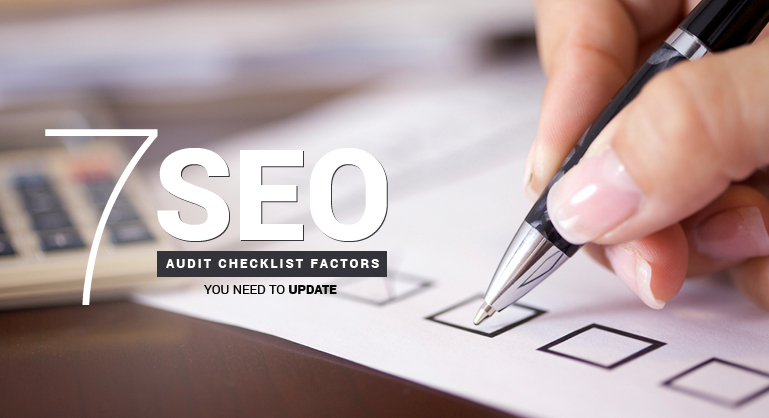 The objective behind discussing this SEO audit checklist is to update you with various on-site and off-site checks which helps identify several issues. Checking and fixing these faults can help you improve your ranking factors. Hope it was worth a read!